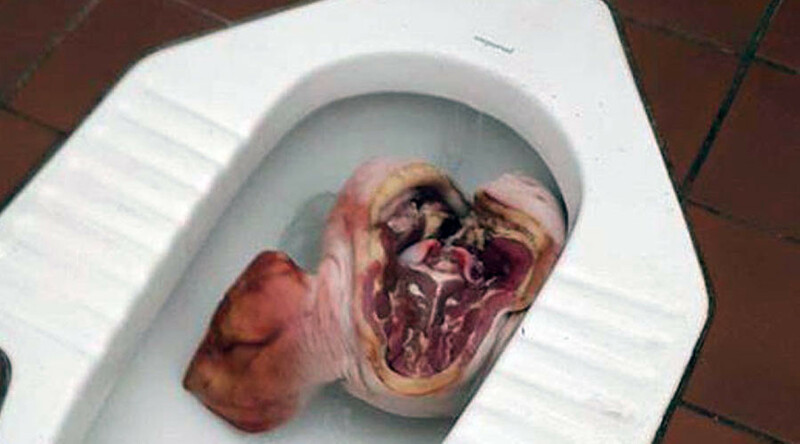 Police have launched a probe after a pig head was found in the toilet of a Muslim prayer room at the University of Western Australia. It comes less than two weeks after 14 pig heads were left at a refugee center in the Netherlands. The pig head was found by Tunisian PhD student Majdi Faleh, who was preparing for his regular prayers at the campus mosque in the city of Perth. "The first feeling was the feeling of someone who's being threatened. I didn't expect to see that," Faleh told ABC. "It's not because it was a pig's head - it can be anything, any other animal - it was the message that was clear...there clearly is motivation of these people trying to say you're not welcome here, or some similar message,” he added. “Needless to say, if this happened at a university, then THINGS ARE ESCALATING,” he wrote. The student said he alerted campus security who contacted police. “Acts like this are designed only to incite religious and racial hatred,” it said in a statement. Western Australian police have encouraged anyone with information on the incident to come forward. Late last month 14 pig heads were left at a refugee camp in the Dutch town of Eschmarkerveld, near the city of Enschede. Plastic bags full of pig blood were also found at the site. The use of pig heads is believed to be a direct insult to Muslims, who abstain from consuming pork because pigs are considered 'impure' animals in Islam.